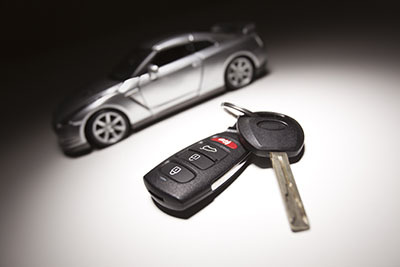 “Locksmith Rosenberg” does not take car lockout situations lightly. We are aware of the repercussion of such a mishap, putting your comfort and, more importantly, your safety on the line. That is why a system has been perfected that allows us to respond to lockouts efficiently. Our front liners, customer service staff, are available round-the-clock to receive your calls and act on them accordingly. If requiring additional information on whatever locksmith service you might need, they generously offer them. If in need of prompt assistance for an urgent concern, they respond swiftly and proficiently. If our customer service is praise-worthy, technical specialists on board with us are no different. They are friendly and courteous, not to mention skilled and knowledgeable, and would be at your beck and call to deliver the expected outcome just as you need it. Speedy technicians always arrive within a reasonable time frame, taking as little time as possible to reach you, especially in emergency situations. They also perform emergency trunk opening, ignition replacement, and VAT key duplication among many other valuable services that car owners will surely find useful. Suffice it is to say, we are the best partner for owning a vehicle because we make sure that all the inconveniences car locks may present are fully covered at any given time. If you entrust all worries to us regarding not being able to unlock your car from the outside, losing car keys, or keeping them stuck in the ignition while outside, never worry again about getting through a sticky situation. Diligent technicians at Locksmith Rosenberg are the best in the field, offering urgent assistance when needed. Lock technicians are proficient in unlocking car doors and trunks without causing damage to the vehicle. They are also well-versed in extracting keys that are stuck or making new keys to replace old and lost ones. Whether your car locks are automatic or manual, expect to get inside quickly and safely so you can well continue the rest of your day. Furthermore, auto lockout services are available 24/7. We can send a qualified technician anywhere you are no matter what time of the day it is. No need to risk your safety or suffer from being locked out of your own vehicle. For immediate assistance, pick up the phone and call us.